This comment refers to the article available at: http://dx.doi.org/10.1007/s00438-015-1049-z. After publication of this article (Maredza et al. 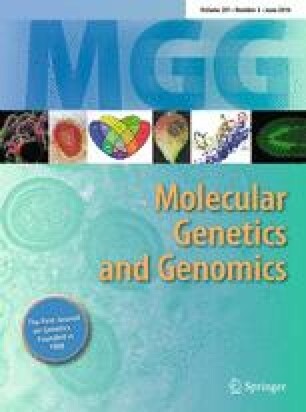 2015), a reader alerted the Editors of Molecular Genetics and Genomics that there were potentially serious concerns regarding the ethical behavior of the authors and the authors’ right to use some of the information presented. Authors describe without credit or acknowledgement an unpublished nomenclature developed by a competing group. Article contains information taken from a draft manuscript of the competing group, which was about to be submitted for publication, and which was sent to the authors in Nov. 2014 for input. Failure to acknowledge source of plasmids, which originated from a member of the competing group. The Editors of Molecular Genetics and Genomics have conducted an in-depth investigation in accordance with the Committee on Publication Ethics (COPE) guidelines. Moreover, we have asked the institutions involved (North Carolina State University, US; University of the Witwatersrand, South Africa) to investigate the allegations. Unfortunately, the claims could neither be confirmed nor be refuted 100 %, which is why we have been unable to come to a definitive conclusion in this case. Consequently, we feel it is best to post this Expression of Concern to alert our readers that concerns about this articles have been raised. Readers are alerted that an Erratum has also been published regarding the inclusion of references to unpublished works (Maredza et al. 2016).